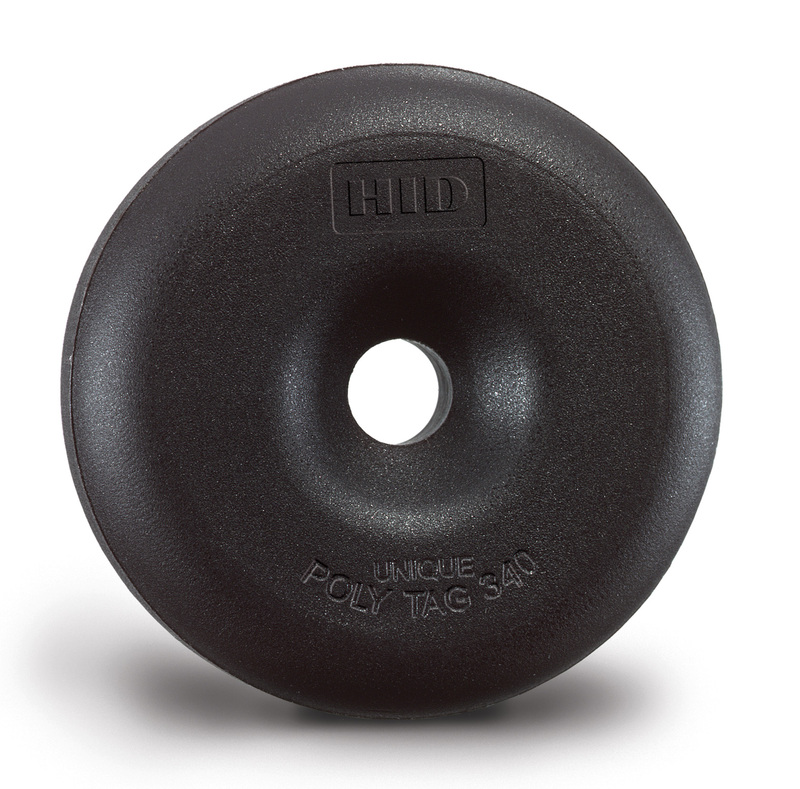 The Poly Tag is a disc-shaped tag with extreme impact resistance. The housing will withstands rugged conditions and is designed for outdoor use. The tag is waterproof, highly chemical and shock resistant, and withstands peak temperatures up to 266° F (130° C). Housed in field-proven, high-impact PA6 nylon thermoplastic shell, the tag can absorb the daily bumps and jolts of industrial environments, while protecting the electronics within to ensure consistent communications with RFID readers and reliable performance in automation and manufacturing applications. LF Poly Tag discs perform best affixed to plastic or wood surfaces. They offer reliable, cost-effective tagging for near-proximity reader applications, with available data storage up to 2048-bit read-write capability.